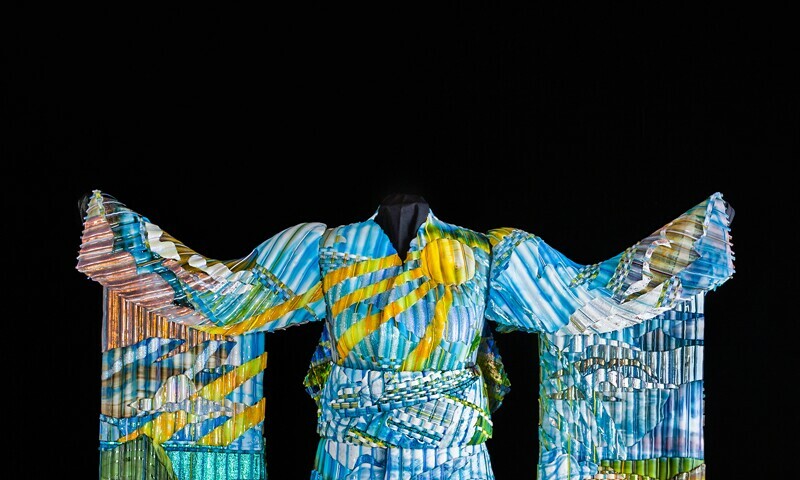 Eric Markow and Thom Norris, Summer Zenith Kimono, 2013. Cast, blow, and woven glass, metal fiber. This exhibition comprises approximately sixty works of stunning contemporary glass from leading practitioners, including Dale Chihuly, Dan Dailey, Michael Glancy, Stanislav Libenský and Jaroslava Brychtová, Linda MacNeil, Dante Marioni, Billy Morris, Yoichi Ohira, Tom Patti, Preston Singletary, Therman Statom, Lino Tagliopietra, and Toots Zynsky -- all from the world-class collection of Florence and Robert Werner.